Virginia Gov. Bob McDonnell said Tuesday he will return all remaining gifts from a political donor in the wake of a federal investigation. That includes a $6,500 Rolex watch "and any other items I possess," McDonnell during a Tuesday interview with WTOP. He confirmed his daughter, Jeanine McDonnell, returned a $10,000 wedding gift from political donor and Star Scientific CEO Jonnie Williams. “These were gifts, you know, that came to me that I didn’t ask for, like most of the gifts that I have reported for the last 22 years in office,” McDonnell said on WTOP's "Ask the Governor" program. The governor also said he's repaid more than $120,000 in loans from Williams, using personal assets and borrowing from family members. Virginia Gov. 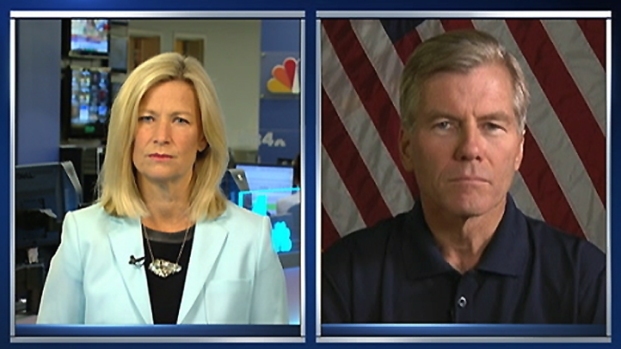 Bob McDonnell spoke exclusively to Northern Virginia Bureau Chief Julie Carey about finishing his term despite the controversy over loans and gifts. 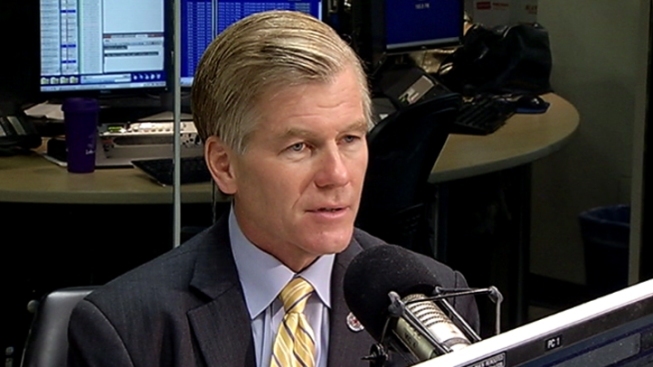 On WTOP, McDonnell did not talk about the federal investigation into those gifts. Nor did he offer specifics about other loans he owes. He said he hadn't been aware of all the gifts his wife, Maureen McDonnell, had received from Williams. Virginia Gov. Bob McDonnell says he has given no thought to resigning in the wake of a federal investigation into gifts and loans a wealthy political donor has given the governor and his family. “So gifts that have come to me, I have tried to report those accurately and in accordance with my understanding of the law, this has been a gentleman and his wife who for a while I have considered a personal friend and he had given some gifts to my daughters for their wedding and to my wife - some of them I did not know about at the time,” McDonnell said. The Washington Post has reported in recent months that Williams provided a $15,000 shopping spree for Maureen McDonnell, paid $15,000 for Jeanine McDonnell's wedding reception and gave the governor the Rolex watch. “I take responsibility for all my actions, and the ones that I feel that in any way undermined the trust of Virginians, I take personal responsibility, and I'm deeply sorry for things that I have done or choices that perhaps members of my family have made, that have hurt that trust,” McDonnell said. The gifts came at a time when Williams was trying to get attention for a new nutritional supplement produced by his company. Questions have been raised about whether McDonnell’s wife was helping promote Star Scientific in exchange for those gifts. The governor said no and went on to list the numerous projects she’s worked on for the state. “So I can go on with the list of the things that she has done, but ultimately the first lady makes her own schedule,” he said. An external audit conducted by a former attorney general of Virginia concluded that McDonnell didn't give preferential treatment to Start Scientific or Rock Creek Pharmaceuticals. However, he did set up a meeting between company representatives and government employees, auditors said. Last week, the governor said he had given no thought to resigning. "I'm not going anywhere. I love this job ... there has been no consideration of that," McDonnell told News4's Northern Virginia Bureau Chief Julie Carey in a satellite interview from Kabul, Afghanistan, where he had been visiting Virginia troops. He also issued a written statement last week, apologizing for the first time for "embarrassment" he or his family might have caused Virginia. The statement read, "I want you to know that I broke no laws and that I am committed to regaining your sacred trust and confidence." McDonnell said Tuesday that after lots of "self reflection," he will put forward a list of gift reform proposals. News4's Northern Virginia Bureau Chief Julie Carey and News4 reporter Mark Segraves contributed to this report. McDonnell Apologizes, Says "I Broke No Laws"